There’s nothing quite like taking a step down memory lane. That’s what I was doing this week when I headed home to Beckington, the village where I grew up, and took puppy on a walk I regularly did with the collie I had as a child. The Beckington Loop is a love 30-minute circular that takes in both farmland, with views to Orchardleigh, and the picturesque lanes of the village with its 17th-century castle and 14th-century church. 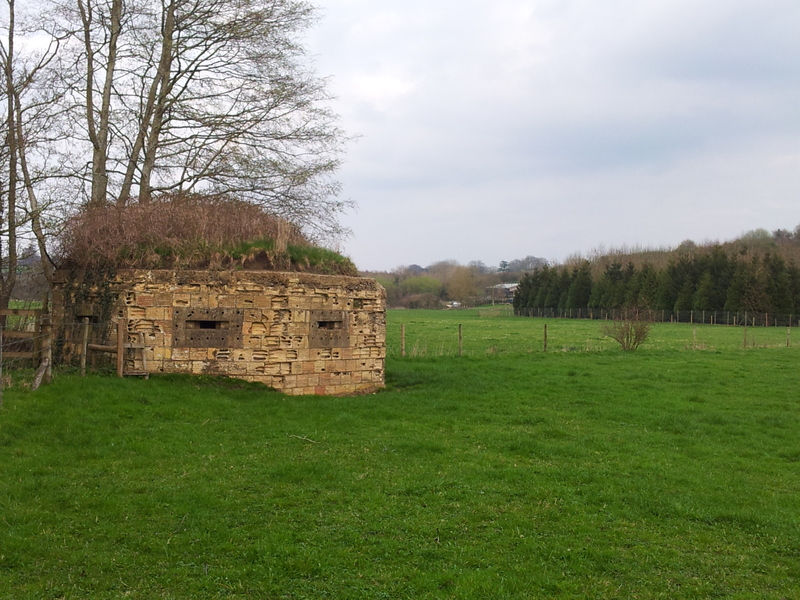 You can extend the walk by about 10-15 minutes, as I did, and it’s then that you’ll get a sense of the area’s past: pillboxes such as this one stand out from their surroundings, now empty but still protective of the river that flows peacefully nearby. Posted in UncategorizedTagged countryside, heritageBookmark the permalink.